Start saving time and money today with FastAttach. NEA can help you get paid faster! Use less paper, see fewer denials and receive faster reimbursements. Make paper attachments a thing of the past! Start submitting supporting documentation and claim attachments electronically with FastAttach. General dentists and specialty practices can use FastAttach to easily transmit: x-rays, perio charts, EOBs, narratives, pre-treatment estimates, secondary insurance or any other supporting documentation required by a dental plan to adjudicate a claim. Find out how FastAttach can electronically connect you to over 750 dental plans and payers for improved claim adjudication. I used to set aside Tuesdays just to work on claim attachments and it took several hours searching for and printing out x-rays and images. Since we moved to FastAttach, it’s only takes me about half an hour to do them all, and it’s low cost, so it saves us time and money! What can NEA do for your dental organization? You're delivering quality care in a timely manner and NEA believes you should be getting reimbursed for that care in a similarly timely fashion. FastAttach® can help you get paid faster. NEA enables dental payers and plans to control administrative costs, increase electronic claims volume, and improve network provider relationships. By partnering with NEA, claims clearinghouses and practice management vendors can generate an additional revenue stream while increasing their service portfolio. Learn how FastAttach can save you time and money from day one with electronic claim attachments. Village Pointe Oral Surgery went from spending 10 hrs/wk on claim attachments to less than one hr/wk using FastAttach. Check out the latest news and blogs from NEA as we share industry insights and articles. Register and attend our monthly webinars and visit us at upcoming trade shows. Access recordings of all webinars. Sign Up for FastAttach Today! Start saving time & money with FastAttach. Improve your revenue cycle and put an end to the paper chase for claim attachments. Say “goodbye” to postage and printing costs and “hello” to rapid reimbursements! All NEA team members have extensive experience in compliant electronic document exchange. From inquiry to implementation to ongoing customer service, our professional support team works closely with clients to provide support that is unparalleled in the industry. NEA clients receive unlimited training, service and support at no additional cost. With online resources, live chat and phone support available, you’re never far away from the answers you seek. Need new-hire training or even re-training for existing staff? No problem. Contact the NEA support team to setup a time that’s convenient for you. In addition to our FastAttach service, NEA also provides leading-edge solutions for compliant communications. With HIPAA being top-of-mind for every dental practice, this solution provides offices with an easy-to-use, email encryption service that works with your existing email system. Learn more about our Vyne Connect encrypted email service – free with every FastAttach subscription – and start securing your practice’s communications even more effectively. If you’re a dental plan/payer or dental service organization (DSO), you’ll want to check out the Vyne Exchange Platform – a solution that provides compliant communication management for your entire organization. 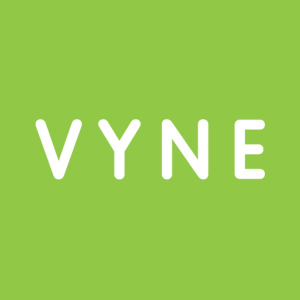 The Vyne Exchange Platform provides a single platform for secure accessibility to phone calls, recordings, voicemails, emails, faxes, and supporting documentation. Get rid of the fax machine, streamline disparate sources of information, and serve your members and patients better with the Vyne Exchange Platform.